Taipei-Taiwan - February 8th 2012. 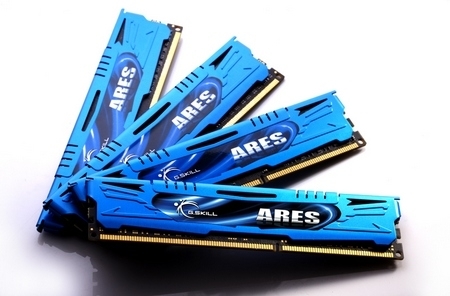 G.Skill, the worldwide leading high performance memory designer and manufacturer, has announced the brand new Ares series low profile performance DDR3 memory. Established in 1989 by computer hardware enthusiasts, G.Skill is a leading memory & Solid State Drive manufacturer based in Taipei, Taiwan. The company's top priority is quality. All of the products undergo a series of the most rigorous tests and strict quality control processes. In addition to a committed, qualified IC testing house to examine the products, all G.Skill products are 100% tested to ensure the highest yield, reliability and quality.